The humidity hung on my shirt, sticky and dense. I felt heavy trying to take in a breath as my cab whizzed through Queens and into Manhattan, taking me home after a summer spent in my heart's home: the beautiful mountains of the Pacific Northwest, full of glacier lakes and lush beauty. Back in the city, all I could see was grime. Trash piled high on sidewalks, crumbling concrete, dull paint. I closed my eyes and cringed as my children called out that they spotted the Chrystler Building, now The Empire State's tip, and the Freedom Tower beyond. What were were doing here? Why were we forsaking beauty and nature and wide open spaces? Even as they celebrated the familiar scene of a city that was home for them, all I could see was grey and bleak. The next day, in an attempt to brighten my disposition, I suggested a trek to the American Museum of Natural History. We entered the Planetarium and were seated for a show about the expansion of space and the beauty of the stars. The narrator's deep voice spoke of the vastness of the Universe as we reclined back in our soft chairs and lights swirled above us, simulating virtual travel throughout our solar system and beyond. It was really quite beautiful. The show was exhilarating and my children's eyes were wide as they gazed above at the glory of the heavens. But then, the picture slowed and a fuzzy sound echoed. Radio waves had picked up the noise we often hear when the television goes black and white, but it was a sound that was expanding everywhere, in proportion to the growth of the Universe. Astronomers began to explain that they can pin point this sound as being there at the very moment that the Universe began. At the very time the stars came into existence, it seems they were preceded by this noise. This Word. Goosebumps rose on my arms. Stars were formed and worlds were made and are made and sustained by the Word alone. And now, even in the heavens, the sound, the sound that is undeniably present and real has been made known as the source of the Universe, even to those who do not know him, who do not put their trust in him. I sunk low in my seat, frozen; taking in the wonder of the King of my heart as I saw his light twinkling in the stars of the Planetarium. This beauty, this light, this was everywhere and there was the promise that it would never be run through by darkness but rather shine into every crevice as the light of men. And this Magnificent Maker of the Stars is the one who lays a feast before me. He is the one who welcomes me to his table and begs me to eat. He is the one who longs to nourish my soul with his very self and stretch my life beyond my borders. And here I was, complaining just twenty-four hours before about my circumstances, wanting things my own way. But, what was once bleak and gray before my eyes fades in the glory of his light. Thanksgiving replaced discontent in the presence of Christ. As I gaze and marvel at the beauty of my Creator, my capacity grows, stretches and transforms, and I find myself tucked into His life. I think that as we encounter the glory of the God who hung the stars in place, our hearts soften. We are able to repent and humble ourselves before God, as daughters who will choose to walk faithfully with he who walks with us. Is there something today that is keeping you from truly seeing the majesty of Christ? Is there something bleak that is blinding the true light of the living Word in your life? Would you turn it over to him today and ask that he give you a greater sense of his wonder and majesty? This Post is a part of the Better Mom Book Club! We'd love to have you join us each week by subscribing to special content just for Book Club members and becoming an active part of our Better Mom Book Club Facebook group where you have a chance to connect with one another and The writers of the Better Mom to discuss all you are learning as you read. 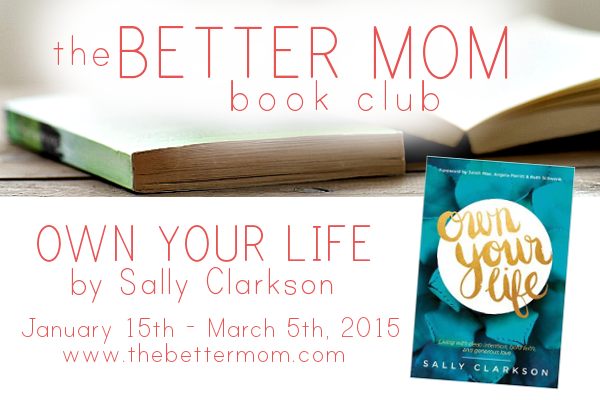 Our current book is Own Your Life by Sally Clarkson. Its not to late to hop in! Click on the image to find out more! Kristen Kill is a woman transformed by the delight of God. She loves coffee, gingerbread, and staying up late with her nose in a good mystery. She believes there is something sacred in lighting candles, in setting a beautiful table and inviting others in. Most days she can be found attempting to learn how to cook, redecorating any given room instead of cleaning her house, and homeschooling her five hilarious children. After spending the last seven years in the hustle of New York City, she and her husband, Josh, are learning to go slow as they raise their family and walk their anxious hound dog in the Pacific Northwest. 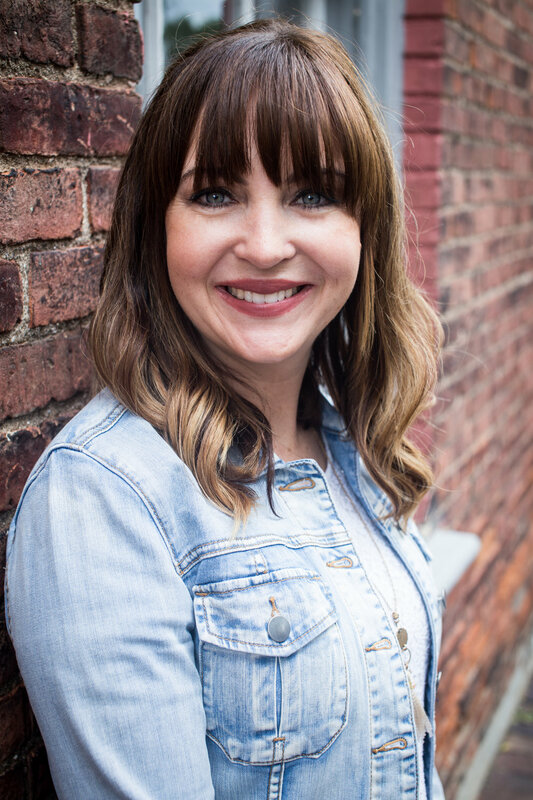 Her first book, Finding Selah is due from Zondervan in 2018.